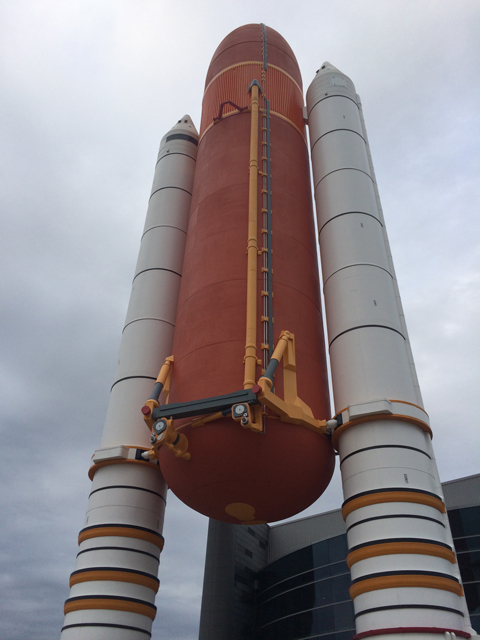 On Tuesday, we drove out to Kennedy Space Center to experience what they had at their visitor center. WOW! Pretty incredible. And there’s more than just the photo above that defines WOW! I promise to blog more about this as I have tons more photos to post. But if you’ve been here before, you know what I experienced. It’s worth the 8 tolls on FL-528 [round trip] we paid to drive out there. It’s been many years since I’ve been to Kennedy. I also saw a shuttle launch there in the mid 80s. I would love to see a launch. They had one yesterday that is considered a return to the space program.